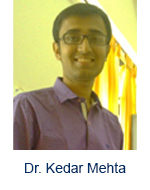 Dr. Kedar Mehta is currently working as an Assistant Professor in the Department of Community Medicine, GMERS Medical College: Gotri, Vadodara. He is also working as Regional Monitroing Team (RMT) member and looking after Vadodara Corporation. He has secured his graduate (MBBS) and postgraduate (MD) degrees from Government Medical College Baroda, affiliated to the Maharaja Sayajirao University of Baroda. He is also pursuing the distance learning Online Clinical Research Investigation Course from University of South Florida (USF) in collaboration with international Adolescent HIV/AIDS Research Training Programme (AHART). His areas of interest include teaching, research and scientific writing. He has more than 25 published articles in different national and international journals. He has been actively involved in various research projects carried out by different departments of the medical college. His honors include the best paper in thematic session in XVIII Annual conference of IAPSM GC at Karamsad in 2011 and second prize in H.M. Patel session in the XXI Annual conference of IAPSM GC at Bhavnagar in 2014. 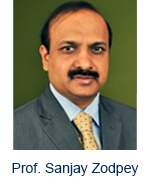 He is also one of the esteemed Editorial board members in various international journals like International Journal of Applied Research and Studies, Focus in Research and Education, Reviews of Progress, International Journal of Current Trends in Science and Technology, International journal of Medical Science and Clinical Intervention and many more. 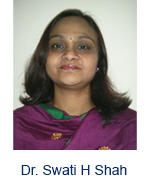 Dr. Swati H Shah is an Assistant Professor in the Department of Physiology at B. J. Government Medical College, Pune Maharashtra. She has obtained her Master’s degree - M.D.in Physiology from Mumbai University. She is having 15 years of experience in the field of teaching and Research in various fields. Her area of Expertise include Respiratory Medicine, Nutrition and Medical Education. She has published numerous research papers in National and International Medical Journals. 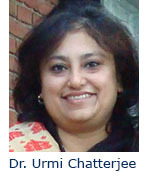 Dr. Urmi Chatterji is a Reader at the Department of Zoology in the University of Calcutta . Her research interests are Cancer Mechanism and Therapy , Stem Cells and Nanotechnology in Cancer Therapeutics , Effect and Mechanism of Endocrine Disruptors. Her current research includes Telomerase inhibition as potential anti-cancer therapeutic strategy , Reversing Arsenic-Induced Endocrine Disruption With Retinoic Acid: A Therapeutic Strategy , Investigating the Molecular Dynamics of Progression of Prostate Cancer , Effect of arecoline on the gene expression of androgen receptor in the prostate of male rats , Delivery of antisense oligonucleotides (ASO) to the androgen receptor of prostate cancer cells by nanoparticles: a prospective anti-tumoral strategy. 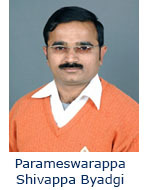 Parameswarappa Shivappa Byadgi is Assistant Professor, Department of Vikriti Vigyan Faculty of Ayurveda, Institute of Medical Sciences Banaras Hindu University, Varanasi.He has several publications to his credit. 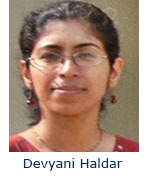 Devyani Haldar is a Senior Scientist at Institute of Lifesciences , Department of Biology, University of Hyderabad Campus.Her area of Specialization is Molecular Biology. She has several publications to her credit. 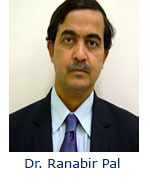 Dr. Ranabir Pal is the Professor and Head, Department of Community Medicine at Andaman & Nicobar Islands Institute of Medical Sciences.He has several publications to his credit.